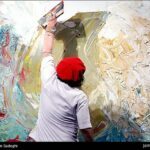 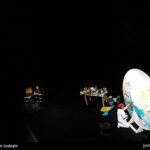 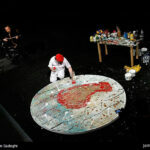 Snapshots of the 2nd live painting-the-music performance which brought a painter and a musician together to create improvised paintings with music as a source of inspiration. 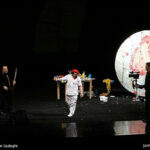 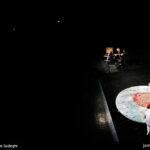 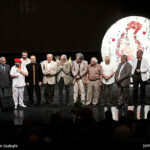 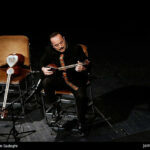 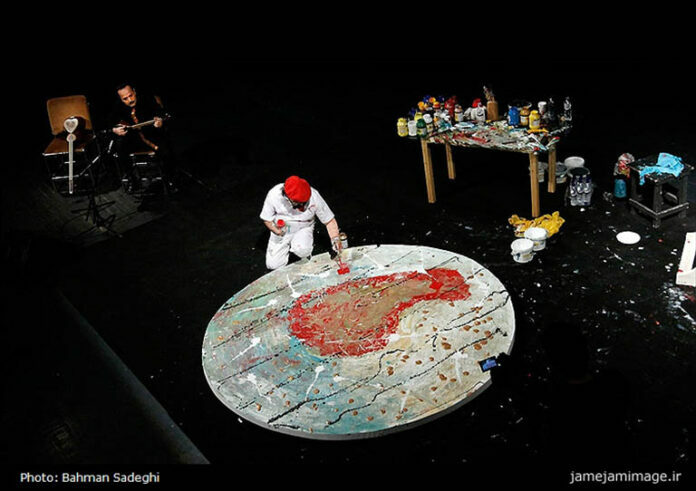 Vahdat Hall played host to the second public painting-the-music performance in Tehran. 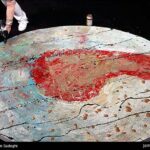 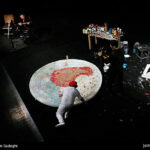 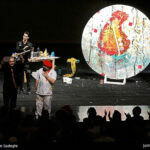 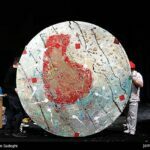 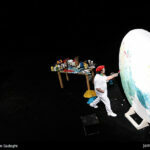 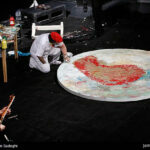 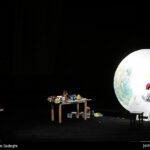 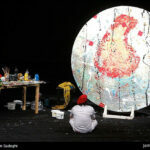 Inspired by the live music – Kayvan Saket playing the tar – Alireza Mojabi, a painter, poet, calligraphist and researcher, produced some impromptu painting on stage.